I often wondered why Whisky in its finest forms is called a Single Malt. I got an invitation to a one on one Master Class to taste one of the finest Single Malts this country has to offer. One that bagged the Jim Murray’s Whiskey Bible Liquid Gold Award 2016. Now, when one receives such an invite, you just can’t say NO! I have to admit, before I went for this Master Class I had no idea if I would be able to drink let alone understand the intricacy and ingredients involved in making such a drink, and as you can imagine, I went in clueless! Here I am an amateur looking at the beautiful packaged bottles at the start of the session and by the end of the tasting I have to admit, it’s definitely not a Man’s drink as they say it is. It is very rich and goes down so smooth. So all you ladies out there, do not shy away from this beautiful concoction. 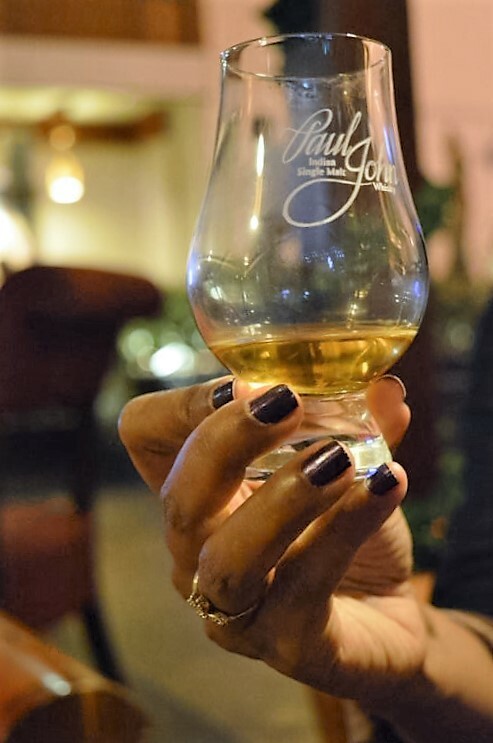 Single Malt is to be enjoyed by all. I just soaked in the experience and that too proud to have got first hand lessons from the Master Distiller, Michael D’Souza. I can now go around tell the Whisky drinkers out there how to enjoy this drink in its purest form. Once we sat down, and he began to narrate his story of how he came to be a distiller. I was at awe, he had a lot of passion and could tell he really enjoyed what he did. There is rarely someone you meet who talks about his work, with so much of gratitude and love. 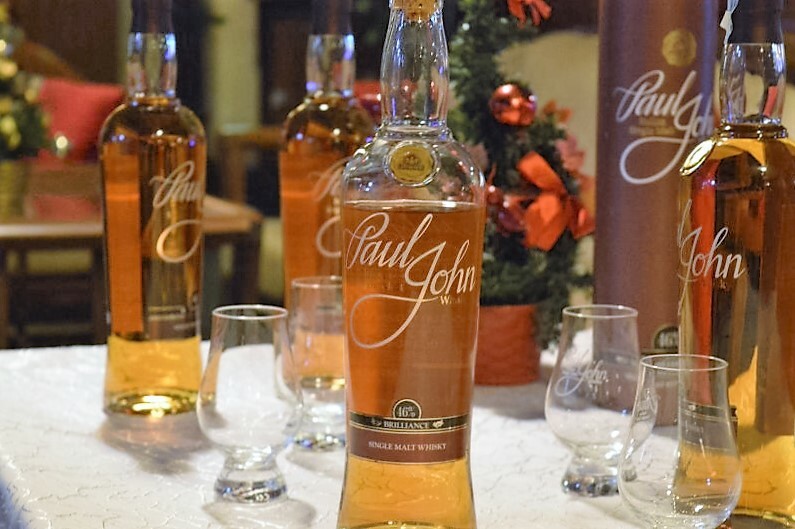 His passion for whiskies drew him into the world of distilling in 1993. He spoke of the making of Single malt as if it was magic, and behold, true to his word. I was whisked away and am now a fan of Single Malt. So much passion for Single Malt! 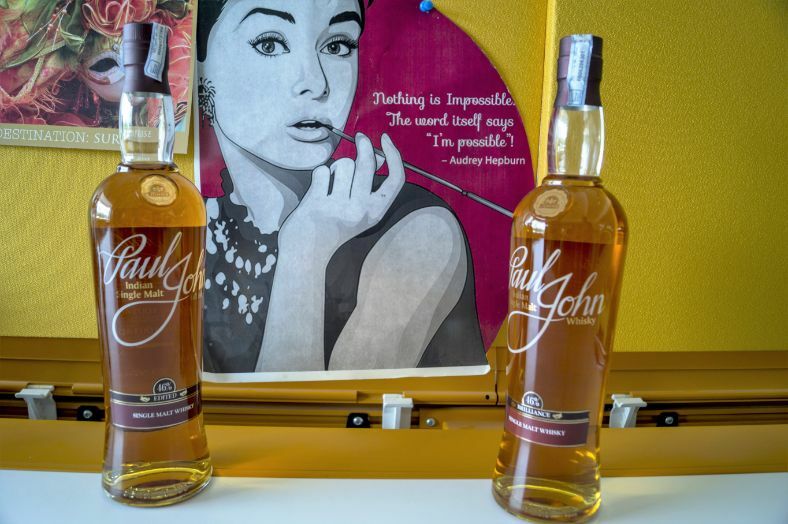 The Makers – John Distilleries Ltd (JDL) was established back in 1992 and the name is driven and brought to fruition, from the vision of its Chairman Mr Paul P. John. 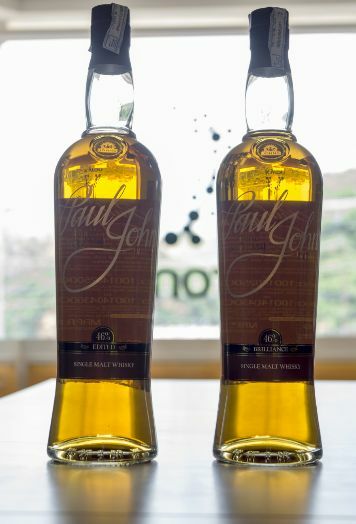 JDL is based out of Bangalore, however, the single malt distillery is located in Goa, South India. 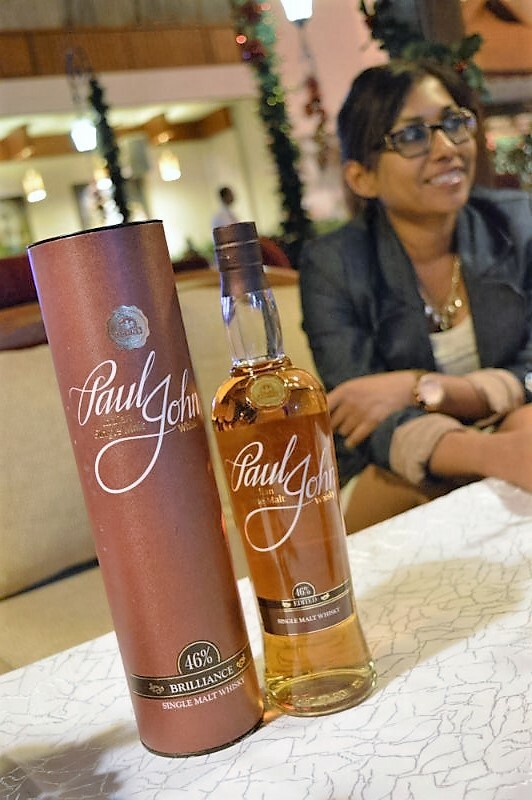 Mr. John is no new comer to the Whisky manufacturing scene, and owns some of the leading spirits companies in India. The endeavour to provide the best quality is evident in every product out there, and JDL has joined the ranks of India’s leading spirits companies and around the world. 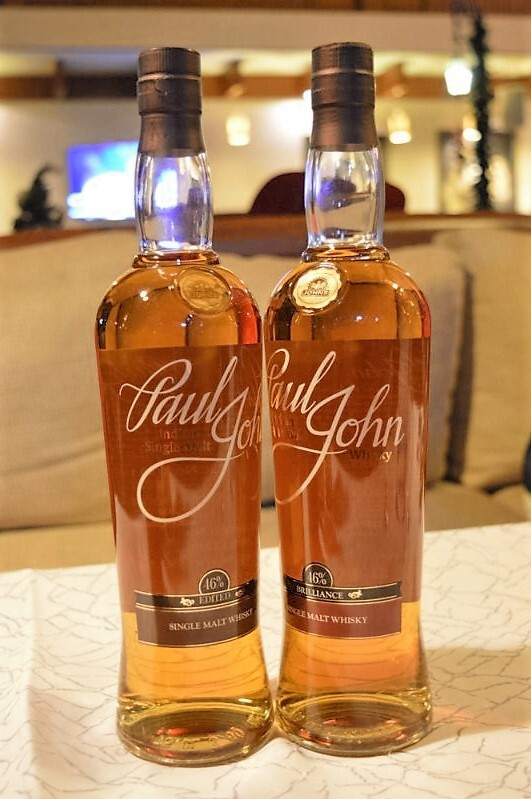 The Single malts were initially launched in the UK and are available across the world. 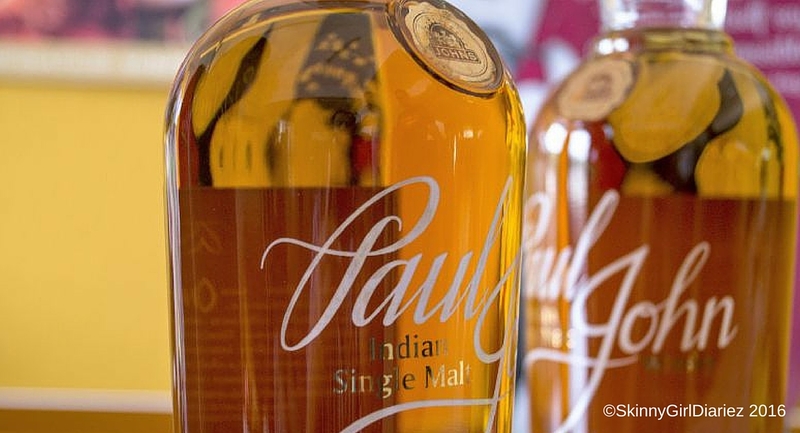 Made out of 100% Indian barley, this malt is distilled twice in copper pot stills (the traditional way). Due to the humid temperatures, South of India, the whiskey is able to mature pretty quick and gets its magnificent sun kissed hue reminiscent of the sun set beaches! I got the opportunity to taste The Brilliance and Edited, both bottled at about 46% ABV. The Brilliance – has a Sparkling copper colour. The aroma at first if very sweet, and has a bit of honey to it, with slightly burnt malt and spices. To taste it is very smooth, and has a mild hint of spices and vanilla. I quite enjoyed drinking this one especially for the women (who says it’s a man’s drink). A definite no fuse drink for beginners and the likes. Big thumbs up! Edited – has an Amber gold colour. This is not for the faint-hearted. The aroma has a hint of smokiness and shot of espresso. This drink is sharp and lingers after. The Smokey edge with a hint of sweetness, and the end the gentle peat notes comes through, and add some balance. The hint of peat has been skilfully created from discreetly chosen cask profiles, I am told, and a delight to the true whisky connoisseur. Looking good on my work station! 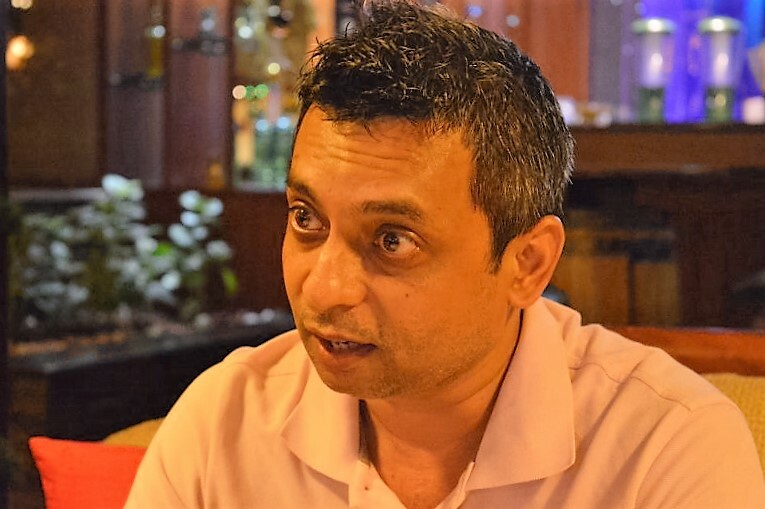 Well after hearing it from the expert himself, I am amazed how many of the so called whisky aficionados dilute their drink with Soda or some fizzy drink and top up with truckloads of ice. So how should you dilute your scotch? Distilled water is the answer. The water used has to be flavourless and just a few drops or rather a dash of water to Scotch. The alcohol content is already over 40% and this releases a chemical effect and breaks down and adds a more aromatic element to the Scotch. Rest you leave it to your saliva and other goodness in your mouth to break down the chemicals, leaving you with a more smokey after taste. Try it! I am definitely looking forward to visiting the distillery in Goa soon, last time I just missed the dates as Michael was not in town. True to their words, The Brilliance and Edited are an epitome of Single Malt. There is definite mystery in both these drinks, all bottled up and ready to be savoured. So grab a bottle or two and let me know what you think. Pour, Swirl, Taste, Finish – Cheers to Aqua Vitae! feature for audio songs present at this web site is actually wonderful.